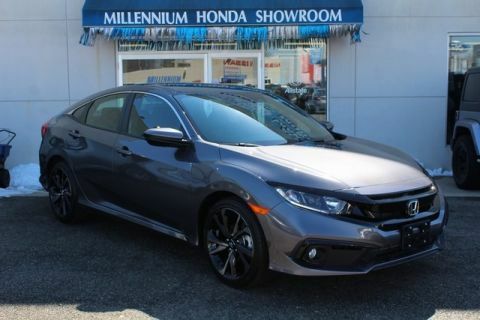 * Lease a 2019 Honda Civic Sedan LX CVT for $99 per month for 27 months. $1,995 down payment. Offer expires 4/30/2019. The 2019 Honda Civic is here. This classic sedan is stylish, exciting, and incomparable. 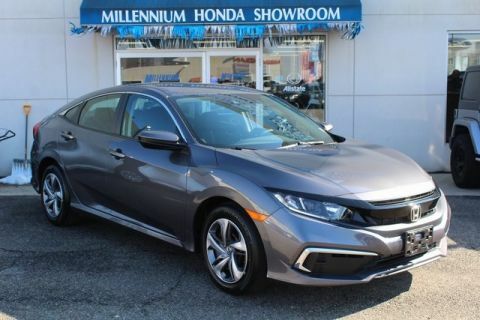 For 2019, find the Civic in five trim levels; LX, Sport, EX, EX-L, and Touring. 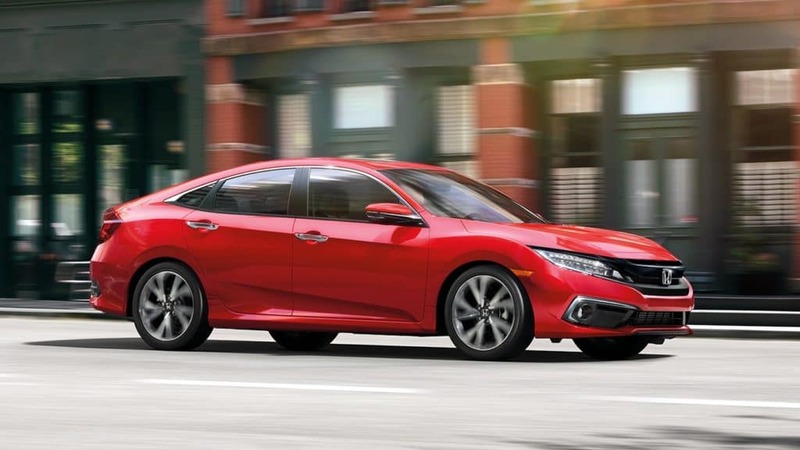 The base trim level of the 2019 Honda Civic is powered by a 2.0 liter engine, which earns 158 horsepower. Pair this engine with the standard six speed manual transmission, or upgrade to the continuously variable transmission for improved handling and responsiveness. 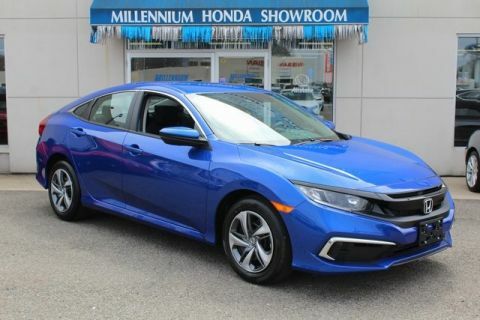 Designed to combine style and function, the 2019 Honda Civic is available with either cloth or leather upholstery options. Select from either option to match your personal style. For drivers, the Civic is designed with you in mind. The cockpit inspired driver’s seat offers ergonomic controls and easy-to-read gauges for a convenient and accommodating drive. Safety is a top priority at Honda, which is why the Civic comes standard with Honda Sensing. This suite of driver-assist technologies helps drivers stay alert and in-control. 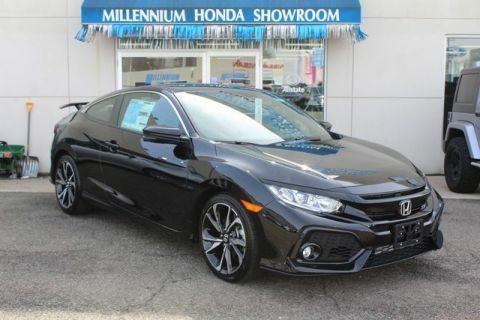 Included in Honda Sensing is collision mitigation braking system, which helps bring the Civic to a stop automatically when it senses a frontal collision; road departure mitigation system, which alerts drivers when their vehicle is crossing over detected road lines; adaptive cruise control with low speed follow, which uses sensors to set a following interval behind detected vehicles when traveling in cruise control; and lane keeping assist system, which makes staying in your lane easier. 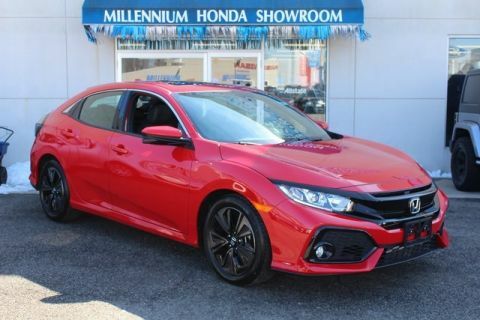 From the exterior, the 2019 Honda Civic has striking style and class. The vehicle includes LED headlights that illuminate the road ahead, while also catching attention. 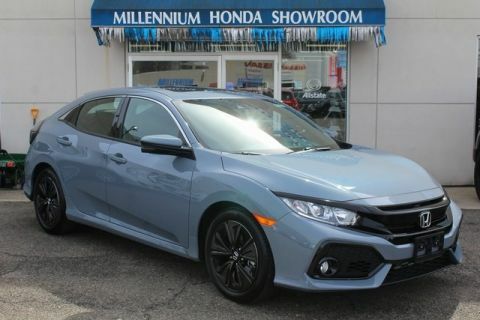 This stylish sedan also has a bold front, sleek profile, and luxurious body lines that help this vehicle appear more modern and sophisticated. 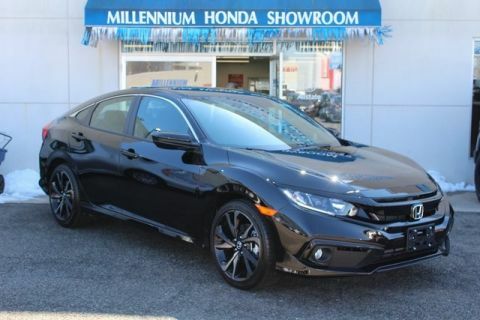 Come test drive the 2019 Honda Civic by making your way to Millennium Honda! Find our dealership at 286 N Franklin Street in Hempstead, New York, today!